Social media can be a serious source of trouble for teens. Teens have been caught bullying each other on social media, been rejected from prestigious colleges due to what they posted, and other devastating circumstances which can turn a successful child into a troubled teen. To help your child avoid some of these pitfalls, it is important for parents to help their children learn to balance their social media use with real life. No social media at night – Many teens suffer from FOMO and may be resistant to this rule. But, even the short, nighttime technology fast can help teens create a healthy distance between their social media and themselves. Apps need to be approved – There are hundreds of thousands of apps available through the app store, and many of them are highly inappropriate for children. A good rule to institute is requiring any app your teen wants to download needs to be looked at and approved by a parent. 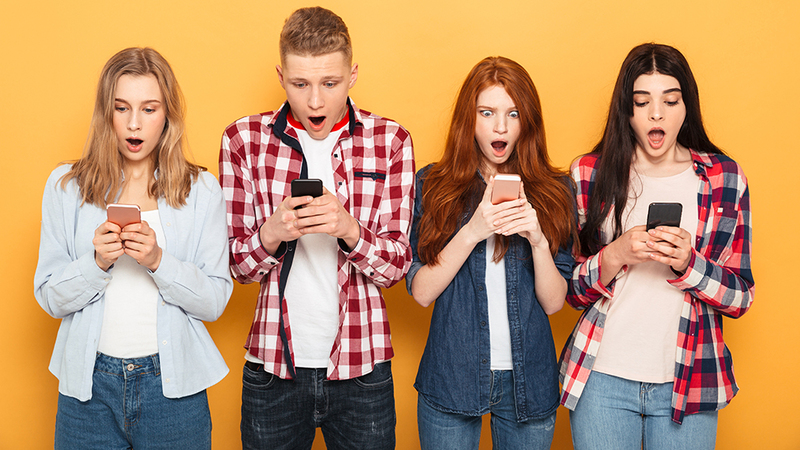 No personal information – While many teens use social media to vent their feelings, parents should set some basic ground rules on what can and cannot be shared on social media. Things like phone numbers, addresses, and other pieces of vital information should be kept off social media. This advice may seem obvious to parents, but not all teens understand the risk of sharing these things. While younger children who have access to social media should have consistent monitoring, parents should extend a certain about of trust to their older teens. There are so many ways overbearing parents can be circumvented, from creating Google voice numbers for texting and calling from computers to purchasing a prepaid smartphone to hid their activities. Don’t back your kids into a corner and make them feel like they need to hide their social media usage from you. Because, if your teen finds themselves in trouble and needs your help, they are far less likely to reach out if they are already hiding things from you. Also, older teens will only be under your supervision for a few more years. To help prepare them to be responsible adults, allow them to self-regulate their social media use as they follow the basic technology rules of the family. This trust and freedom will help them from going wild with freedom once they leave your home. However, if your teenager is struggling with mental health issues, delinquency, or other issues which you need assistance helping them through, contact us. We work with parents one-on-one to help them find the right troubled teen program for their children’s needs, and we can help you too, completely for free.